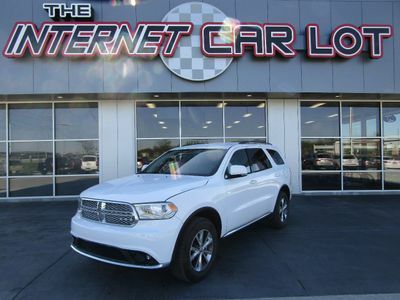 Check out this very nice 2016 Dodge Durango Limited AWD! This SUV looks and drives excellent! It's loaded with options including 3.6L V6, 3rd Row, Leather, Heated Front & Rear Seats, Heated Steering Wheel, Back Up Camera, Bluetooth, Touchscreen, USB/Auxiliary Input, Sirius Satellite Radio, 3-Zone Climate Control, Rear Parking Assist, Steering Wheel Controls, Homelink, Driver's Memory Seat, Dual Power Seats, Power Windows, Mirrors, Locks, Cruise, Tilt, CD, Tinted Windows, and much more! Overall this van is in great shape inside and out! Please note this car has previously salvaged title. Please call with any questions. It's priced to sell ASAP so call 402.991.1112 now! Get Pre-Approved now on our website http://TheInternetCarLot.com or call us at 402.991.1112!